Favorite school moment from any year: Doing a speech on how to make mini apple pies for a public speaking class at CMC sophomore year. I got an A-plus because my professor liked the mini pies I made for everyone. Give a shout out: My family and friends for supporting my changing interests over the years. Summer plans: Playing soccer, staying fit and working for college money. Where are you headed this fall: Smith College in Northampton, Massachusetts. I’ll be playing NCAA D3 soccer for the Smith Pioneers. If you’re leaving Eagle County, what will you miss most: My dogs, Coco and Tracker, good snow and skiing powder in the Rocky Mountains. In 10 years, you’ll be: Changing the world (duh). Favorite class ever: It’s a tie between DE Environmental Science … and DE Advanced Alpine Skiing (yup, I really took that for the 2-credit wellness requirements). Class you wish had been offered: More environmental science classes. Favorite school moment from any year: Senior year retreat at Frontier Ranch. Give a shout out: Mr. Beaudine for giving me endless cups of coffee. Summer plans: Spending time in the mountains. Where are you headed this fall: Colorado State University to study human development and family studies and early-childhood education. If you’re leaving Eagle County, what will you miss most: The running trails! In 10 years, you’ll be: Teaching little kids to love the world they live in! Favorite class ever: AP Environmental Science. Class you wish had been offered: Outdoor Education: Wilderness Ethics. Favorite school moment from any year: State wrestling tournament senior year. Give a shout out: To my mom, dad and brothers. Summer plans: Work and save for college. Where are you headed this fall: CSU Fort Collins. 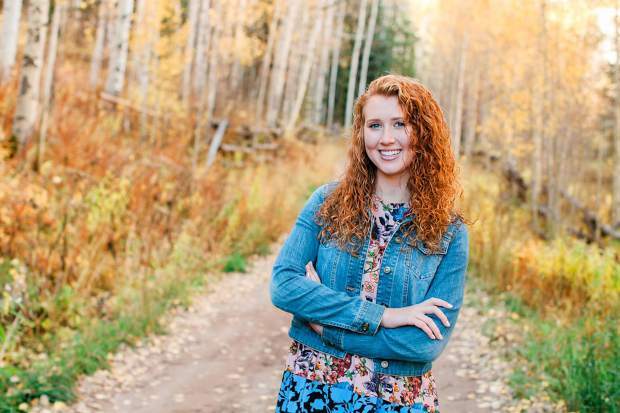 If you’re leaving Eagle County, what will you miss most: The community because it is a fun place to live, the people and the culture of the town. Favorite class ever: Beard’s freshman seminar. Class you wish had been offered: I wish Ms. Shapiro was at EVHS my freshman year so I could have taken film. Favorite school moment from any year: Playing middle for the first time in volleyball and getting a kill on senior night and having both my mom and dad there to see it. Give a shout out: My mom and dad for always sacrificing so much for me, and my best friends for helping me through life’s many adventures. Summer plans: Working, hopefully traveling and enjoying the Vail valley. Where are you headed this fall: Hawaii Pacific University in Honolulu. If you’re leaving Eagle County, what will you miss most: My loved ones, especially off-roading with them in this small town’s beautiful mountains. In 10 years, you’ll be: Hopefully helping marine animals and oceans in some way. Favorite class ever: Art with Mrs. Hurtt. She’s the reason I continued to pursue art in high school. Class you wish had been offered: Cooking class. I’ve always thought that could be helpful in years to come. Favorite school moment from any year: Being on the field to make BMHS girls soccer history. Give a shout out: My parents, siblings, friends and teachers. Summer plans: Working and wake surfing. Where are you headed this fall: University of Miami, Florida to major in nursing. If you’re leaving Eagle County, what will you miss most: The mountains and my dogs. Favorite school moment from any year: FBLA’s Washington D.C. trip and seeing all the monuments and museums, and it was just a really fun trip, especially because all my close friends were there. Give a shout out: Thank you to my parents for always supporting me to be the best I can be, and if I doubted myself, always telling me otherwise that I could do it. I couldn’t have asked for better parents, and I hope they know how grateful I am for all they do. Summer plans: Planning on getting a summer job to help save money for college and hanging out with friends before we all go our separate ways. Where are you headed this fall: I am heading to Metropolitan State University of Denver. If you’re leaving Eagle County, what will you miss most: I will miss being surrounded by the mountains and being this close to nature. It will definitely be different when I am in downtown Denver. In 10 years, you’ll be: I hope to be working for NASA as an engineer and be an astronaut. Favorite class ever: My favorite class was English and building skills. Class you wish had been offered: I wish they would offer French or German as language choices.